Our original product, a sweet bun is fried by a unique method to be crispy. The crisp and sweetness, this perfect combination will make you happy. We recommend you to put salt a little bit on the Ageyubamanju. It will soften the sweetness. 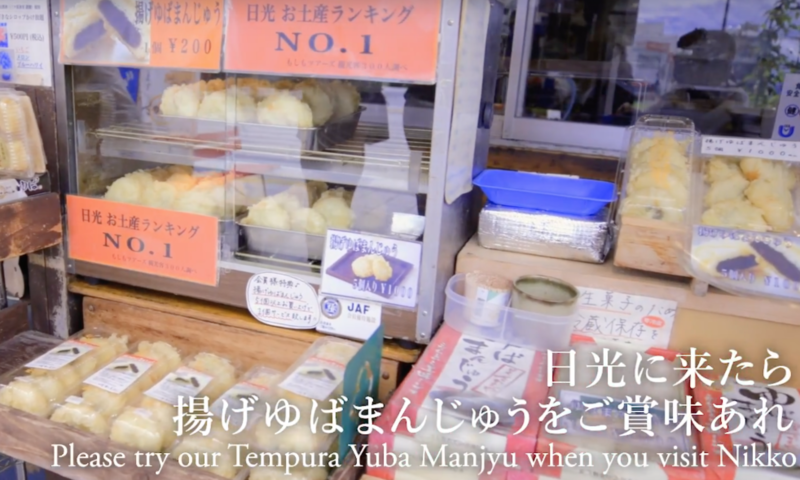 “The best fried bun in Japan, possibly in the world”. t’s just 30 seconds close on foot to our shop from Tobu Nikko station, and 3 minutes from JR Nikko station. Lively lady will cheer you up. We sell variety of original sweet buns and pickles. Come by when you visit Nikko.